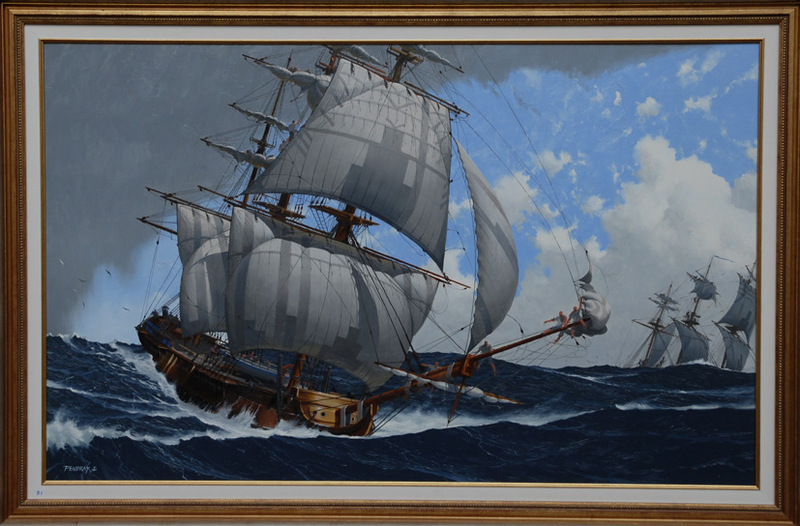 John Pendray, marine artist, has always been inspirated by boats and sea. In 2001 he was appointed Official Painter of the French Navy. His work has been widely exhibited, notably at Salle Pleyel in Paris, at the National Maritime Museum of France, at the Monaco Yacht Club, the Yacht Club de France in Paris and the Maritime Museum of St-Tropez. His work is largely based upon these experiences with the French Navy and his own personal travels around the world with his wife to Viet Nam, Thailand, India, Indonesia. His works are on permanent display in his studio located in Marseilles. 37 rue Dragon, 13006 Marseilles, France.